Welcome Back Surf Camp Veterans! As we’re gearing up for another phenomenal summer, we’d like to take a second to welcome back two of our favorite WB Surf Camp veterans, Austin Mann and Thompson Banez! This will be Austin’s sixth summer with us, and he has excelled in every role he’s had with our program since 2014. 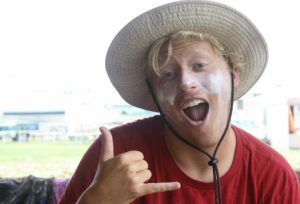 Austin started out his first summer as a surf and SUP instructor and was a camper favorite as a WB Teen Overnight counselor last summer. We could not be more thankful to have his outstanding leadership on our team. Austin fully recognizes what it takes to help his campers have a great summer, and we are thrilled to announce that he, along with Thompson, will be leading our California program this summer! Thompson has been with WB Surf Camp since 2015, and we couldn’t be more excited for him to be leading the California trip with Austin. When Thompson was little, his dad showed him how to catch waves on a boogie board and he has been hooked ever since. 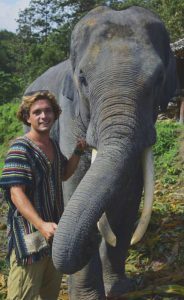 Since then, he has had the opportunity to surf in some pretty awesome spots all over North America – Cost Rica, Puerto Rico, Panama, and Mexico. Thompson studied Marine Biology at UNCW and additionally received minors in Neuroscience and Chemistry. Since graduating, Thompson has been wandering the globe a bit, so we’re excited to be able to have him join us for another summer! This California trip is shaping up to be the best one yet – if you haven’t already registered for the program yet, visit our CA Overnight Camp page here to enroll. The adventure begins July 22nd.